Edward Hopper’s “Chop Suey," sold at a Christie's auction this week for $91.9 million, was the crown jewel of a two-day sale of the Barney Ebsworth collection. Pieces from that collection, including the Hopper painting, had once been promised to SAM. “It’s a sad day in Seattle,” said Seattle gallery owner and art dealer James Harris. In a two-day auction that ended Wednesday, a trove of valuable artwork, once publicly promised to Seattle Art Museum (SAM), from the collection of luxury-travel magnate Barney Ebsworth, sold for record-breaking sums at Christie’s in New York. 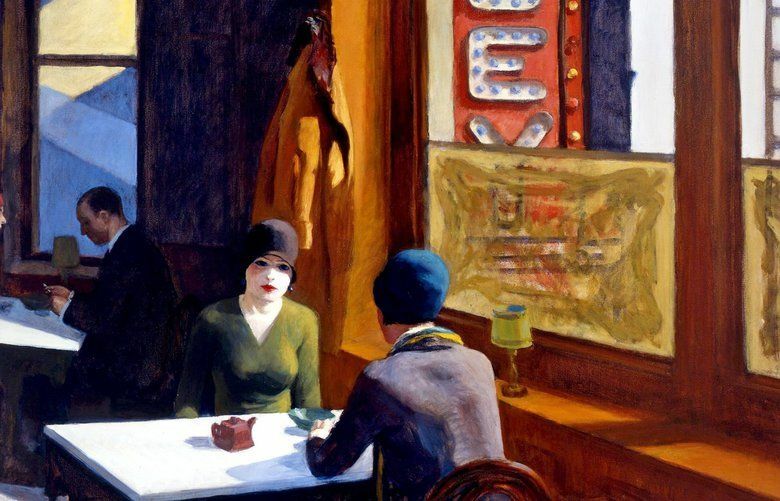 The crown jewel of the Ebsworth collection: Edward Hopper’s “Chop Suey,” a 1929 oil painting of two women talking in a restaurant, which went for $91.9 million. (Before the sale, Christie’s estimated its value at $70 million to $100 million.) 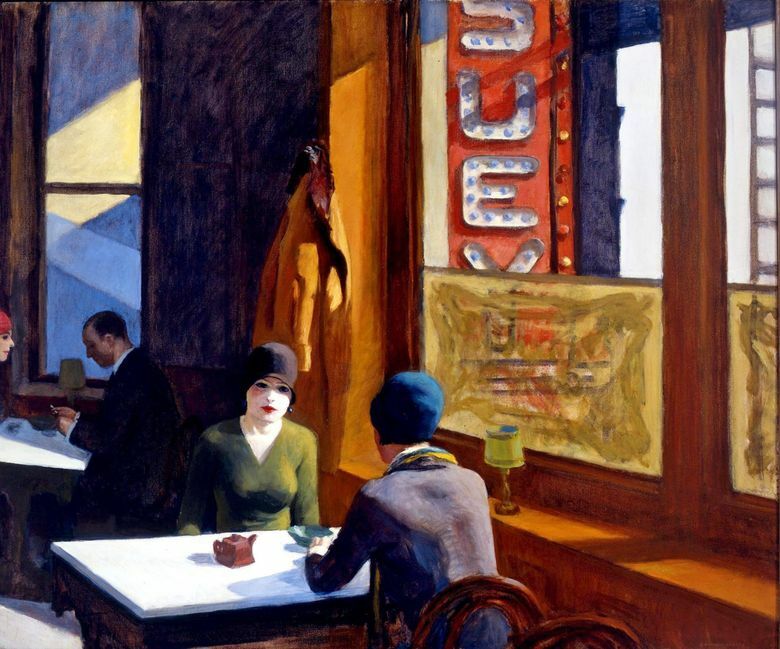 That price is an auction record for the artist; the previous high mark for a Hopper painting was $40.5 million in 2013. Ebsworth was from St. Louis but moved to Seattle in 2003 — and had joined SAM’s board of directors as early as 2000, after the museum had hosted an exhibition of his private collection organized by the National Gallery in Washington, D.C. In 2007, Ebsworth and then-SAM director Mimi Gates announced he would give 65 works to the museum. But after Ebsworth died in April, serious conversations about the sale of his collection began in the summer, according to a Christie’s spokesperson. Now Ebsworth’s collection has been chopped up and sold to bidders around the world. Christie’s reported the two-day sale total at $323.1 million, between its pre-auction estimate of $261 million to $364 million. Besides the Hopper, Christie’s sale of Ebsworth’s collection yielded other record-breaking prices for pieces from Ebsworth’s collection, including Willem de Kooning’s “Woman as Landscape” ($68.9 million, the most ever paid for a de Kooning at auction). Jackson Pollock’s “Composition with Red Strokes,” which went for $55.4 million, was the third-highest price of the sale. Still, these prices fall below other high-flying sales, including the $110.5 million winning bid for a Jean-Michel Basquiat painting, by Japanese billionaire Yusaku Maezawa, which set an auction record for a work by an American artist when it sold in 2017. SAM declined to comment Wednesday on the Christie’s sale results. Christie’s did not disclose the winning bidders for Ebsworth’s pieces. (Artsy and The Wall Street Journal report that the Pollock painting went to Swiss art dealer Doris Ammann.) At a post-sale press conference Christie’s chairman, Marc Porter, seemed to hint that the top bidder for “Chop Suey” was an institution, saying that the auction house “hopes to see it hanging again soon,” according to MarketWatch. It’s not the first time SAM has let much-loved work slip through its fingers. In 2007, the same year SAM and Ebsworth announced his promised gift, Jacob Lawrence’s 1946 painting “The Lovers” — on longtime loan from Susan Fleming Marx, Harpo Marx’s wife — was taken back from the museum and sold at auction to a dealer in New York.